Touch typing is a vitally important skill in our digital world today. Computers are everywhere, and many children are using them on a daily basis. Most kids resort to using the hunt-and-peck method, which is notoriously slow and inefficient. Unfortunately, this method becomes a bad habit that is difficult to break later. 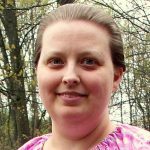 The best way to avoid the trap of hunt-and-peck typing is to develop touch typing skills as soon as a child begins to use a keyboard. Even younger children can learn good typing habits—and it doesn’t have to be hard or boring! Try using typing games as a fun and easy way to teach your kids to type. I was compensated for my time spent reviewing KidzType typing games. All thoughts and opinions are my own; I was not required to post a positive review. The ability to locate letters on the keyboard without looking is the foundation of touch typing. 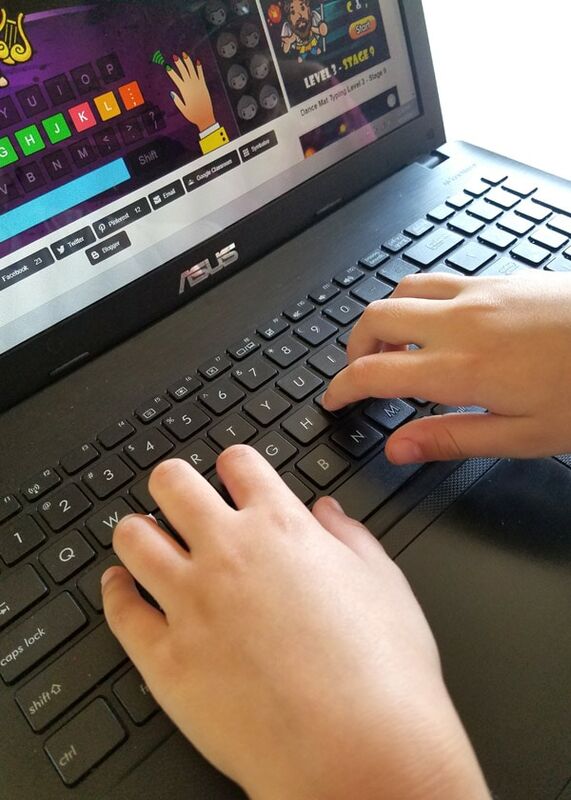 KidzType typing games use on-screen cues to remind kids which finger to use for each letter, enabling them to use the right keys without looking at the keyboard. Typing accuracy is developed through consistent correction of errors. Online typing games provide immediate feedback when kids make mistakes, allowing them to correct their errors before wrong habits are formed. Typing speed increases only through regular practice sessions. Typing games offer a fun, motivating way for kids to practice typing consistently, which will help them to increase their speed over time. KidzType is divided into twelve “stages” that each teach specific keys. As children progress through each stage, they learn the location of new keys and continue practicing the ones they have already learned. If you’re not sure where your child should start, you can check out TypeDojo’s free typing test to assess how much your child knows. Typing games are a fun way to encourage consistent typing practice for kids of all ages. The familiar game-style format makes practicing seem like fun instead of work. 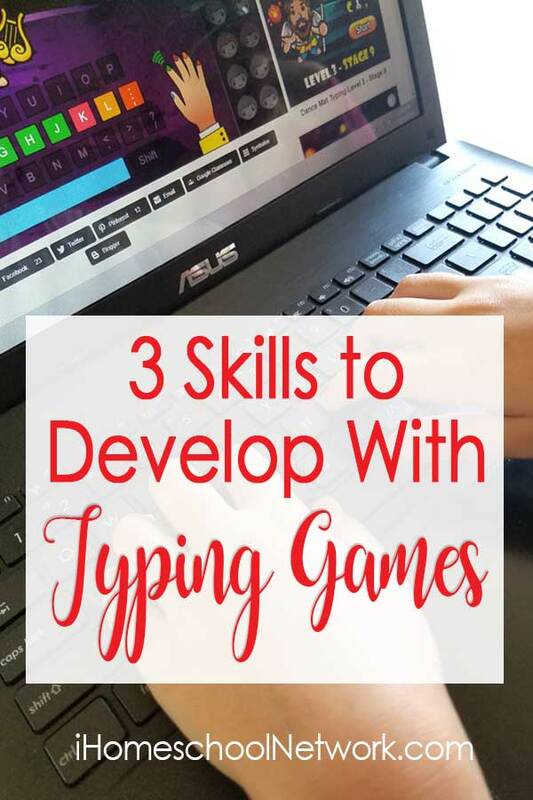 KidzType offers a plethora of typing games, as well as as other typing exercises and a handy touch typing chart. You don’t need anything else to help your kids learn to type—and it’s all free, too! 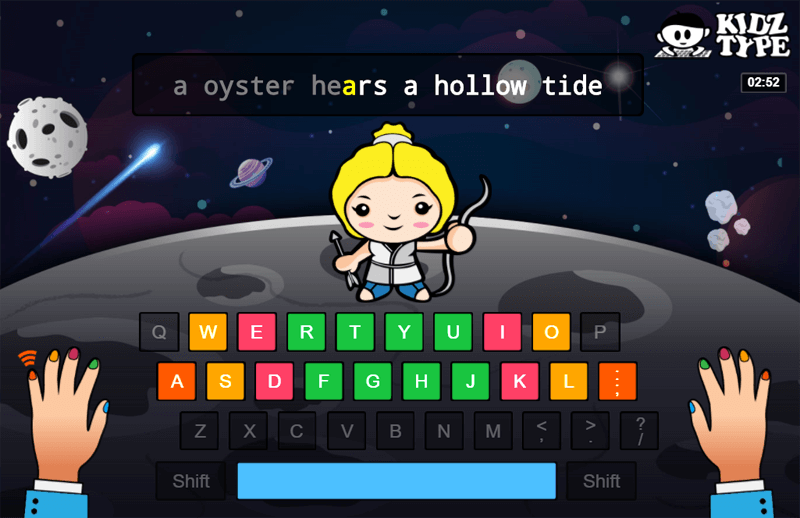 Head on over to KidzType and let your child get started with touch typing. Your child will have fun and develop a skill that will be beneficial for a lifetime!